← A little Jet Lag. 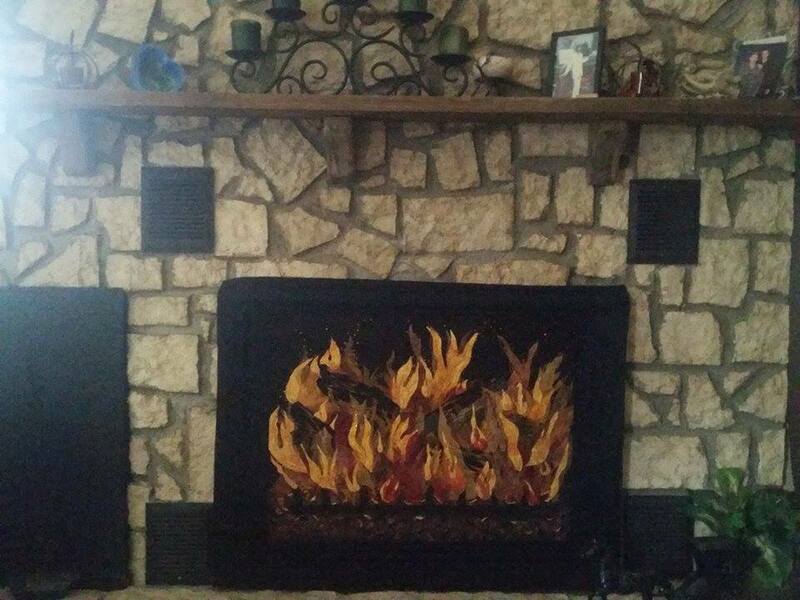 The “Hearth of the Home” was made this past summer for an old High School Classmate. She approached me on this the year before, and I wasn’t sure exactly what had in mind, but gave it a try. When I saw it on her Hearth! I was very pleased at how it turned out. I used hand dyed silk organza, discharged black fabric for the wood and I used hand dyed silk and other sheers to create this piece. It is embellished with Swarovske crystals and shimmery metallic threads. I graduated with a major in Fine Arts degree from NSU in Aberdeen, but my passion for learning has been a continual process as I have taken classes in design, dye, fabric surface design and many ongoing classes over the past 10 years. I have been eclectic in my approach to my Fiber Art with the love of learning and trying out many variable techniques as you will see with my older pieces. This year you will see a shift, as I am finally beginning to have a vision of where my art will take me. I am very excited, for this new concept has not been used in the Fiber Art or Art Quilt world thus far. This new approach begins with my love of thickened dyes and batik layered dyes as the background piece and then adding the variances of scraps of color fused on top to create colorful and textural pieces of art. 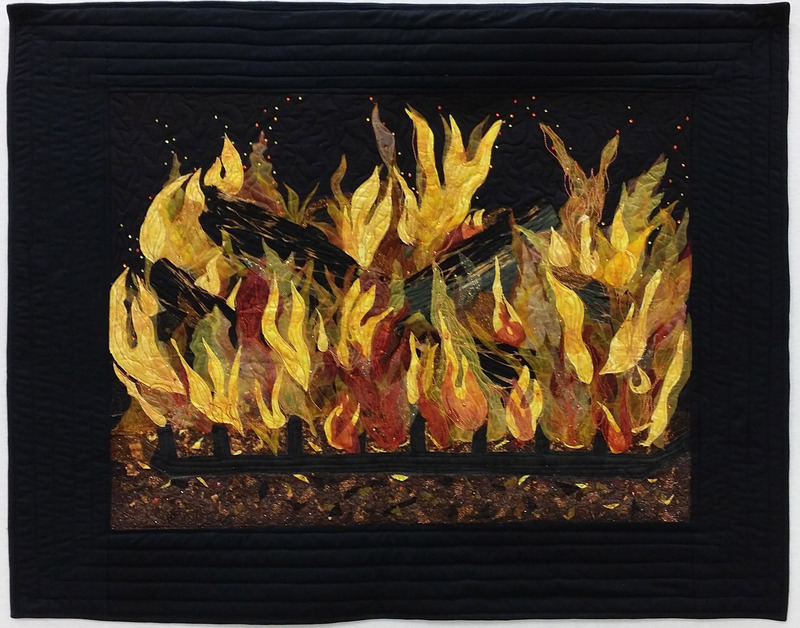 This entry was posted in Today's Adventure and tagged Art Quilts, Fiber Art. Bookmark the permalink. Houston IQS Here I Come!